Robert Schumann is still mainly known as a composer of piano music and song. However, in the later years of his career, he regarded the composition of choral music as an important focus of his work. Here it is still possible even now to discover a largely unknown Schumann, whose choral music combines folk-like qualities and artistic aims in masterly fashion. 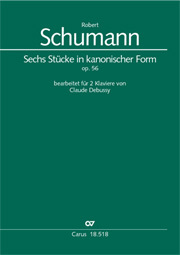 Carus publishes Schumann's complete works for mixed chorus and for women's choir a cappella and with piano. 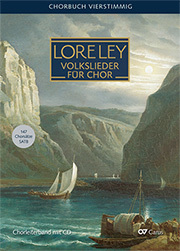 These show his enjoyment in experimentation, his sensitivity in the choice and musical settings of the texts, but not least his unique choral style, in which the form of writing places particular emphasis on sophisticated details.